The International Chamber of Commerce created Incoterms as a worldwide standard to be used in contracts of sale for expressing the rights and obligations of buyers and sellers – specifically, regarding the delivery of the goods. 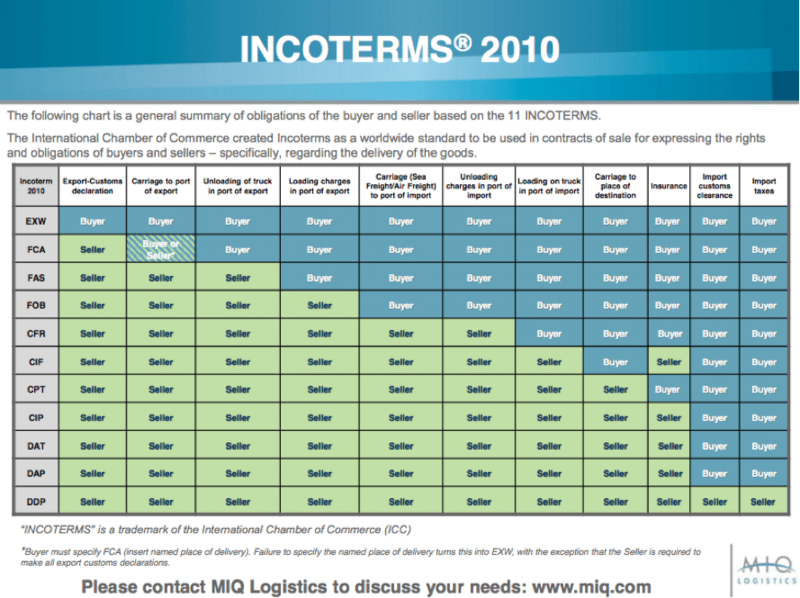 We have provided definitions for the two classes of Incoterms, any transport mode and maritime only, along with a chart below. The brief definitions above were paraphrased from the ICC publication, Incoterms 2010: ICC Official Rules for the Interpretation of Trade Terms, effective January 1, 2011. Valid through 2016.